Deed-A-Day Danny began as a half-page black and white strip in A.P. 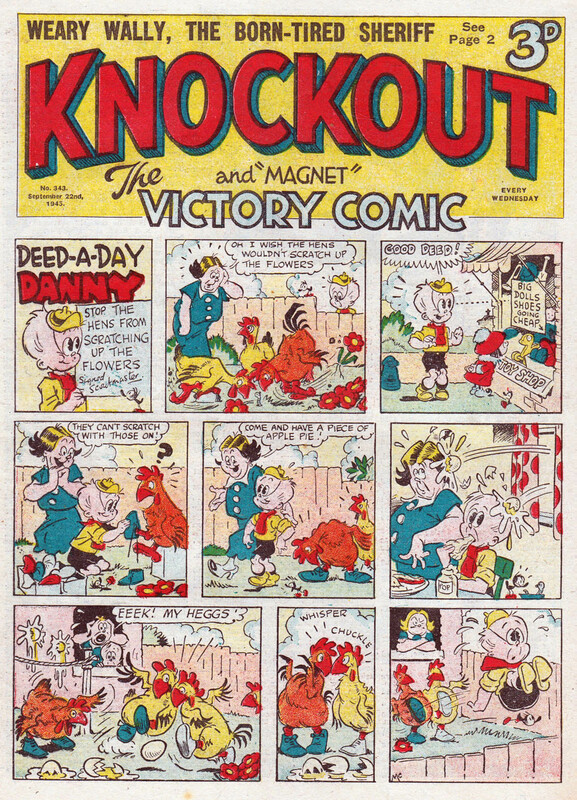 's rival to The Beano, The Knock-Out Comic No.1, dated March 4th 1939. 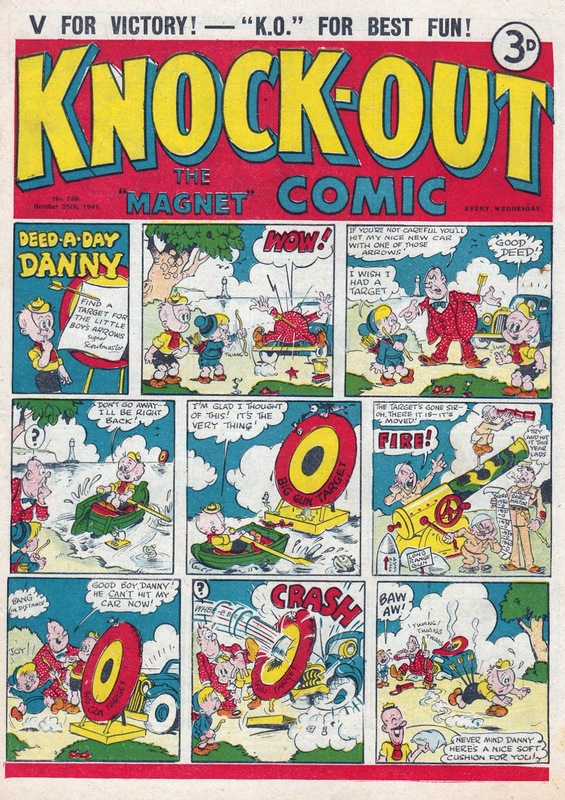 (Later simplified to just Knockout Comic.) 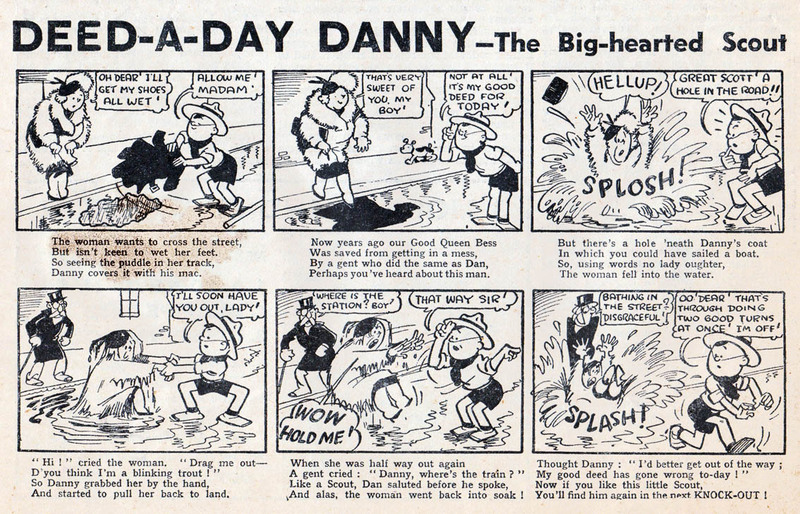 The character of Danny was a well-meaning boy scout whose attempts to be helpful usually backfired. 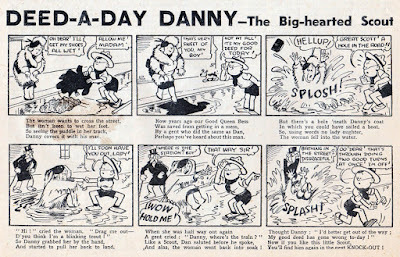 The first Deed-A-Day Danny strip from Knock-Out No.1 (1939). The strip proved popular enough to be moved to the front cover of Knock-Out with issue 15. There it remained throughout the war years and a few years beyond. 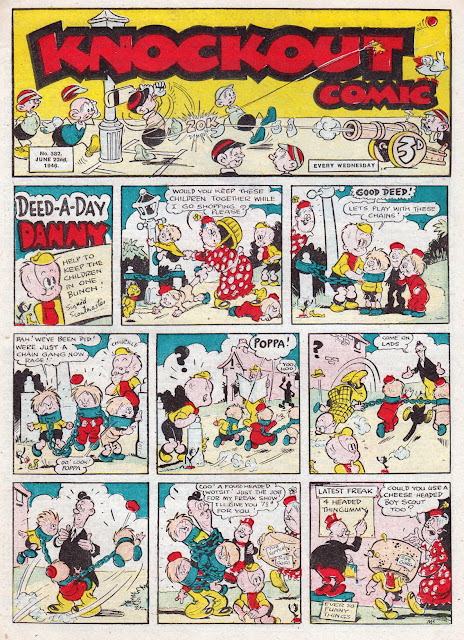 The strip ended in 1954. His covers for Knockout in the 1940s were lively and full of fun, so I thought I'd show a handful of them here today. 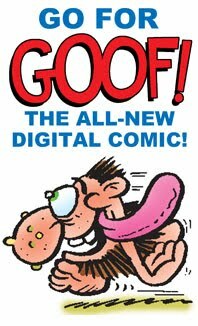 All images are scanned from my collection of the actual comics. 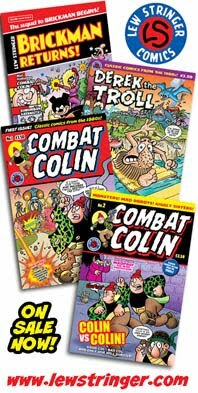 I can definitely see the Beano influence on that first cover - same logo colour scheme and layout (with the arched name and the word Comic underneath, and the price at the top right corner), even the red bar at the bottom. At least they'd gained a more distinct look by the time of those later covers. I notice though, that it was a penny more expensive than the Beano. 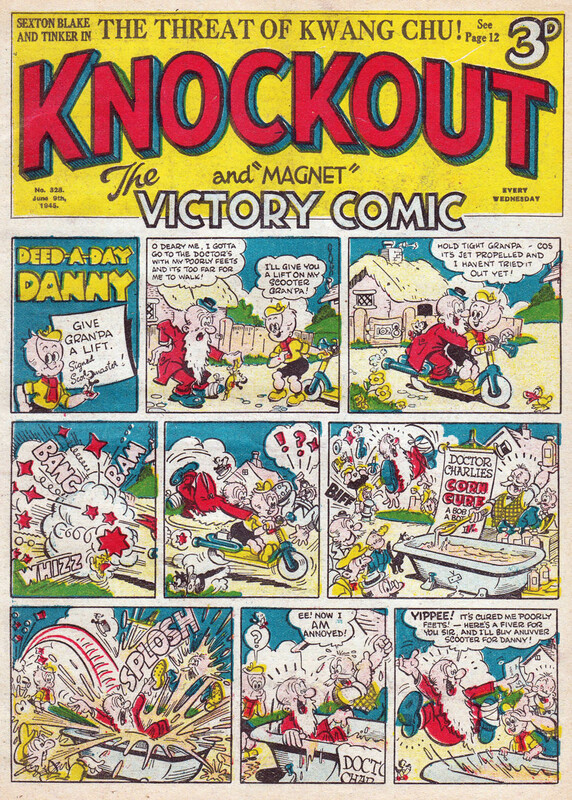 And was out twice as often during the war too (the 1945 Knockout covers still say Every Wednesday, but Beano was fortnightly at that time due to rationing). 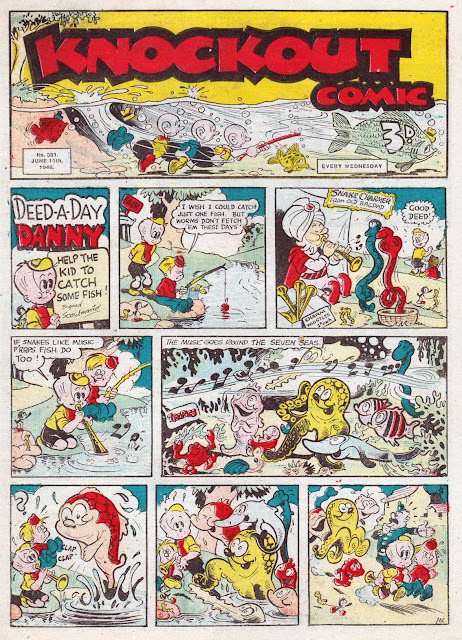 Did that higher price help avoid some of the austerity (such as page count reduction) that Beano suffered? 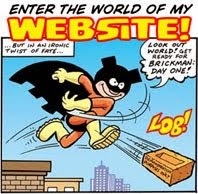 As for the story, those title panels remind me of Buster's Diary. A little. 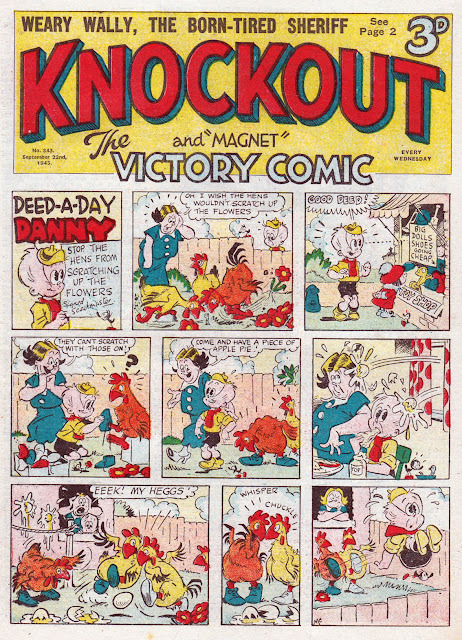 Knockout had 28 pages when it started in 1939, but reduced to 16 during WW2, rising to 20 pages in the late fifties and to 24 in the early 60s before it merged into Valiant. 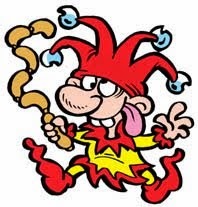 I laughed at the freak show gag at the end...of course different era..
All of them are great fun...thanks for showing them..
Coming up over the next few weeks, Peter! 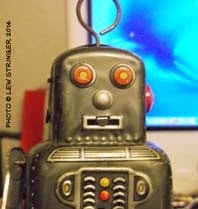 Preview: Are you ready for ROBO HATS? The return of Fighting American! Prepare ye for the GOOD NEWS BIBLE! Good Dog, Bad Dog are on the case! 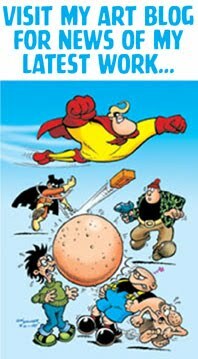 Want to know How Comics Work? Review: Be Pure! Be Vigilant! Behave! 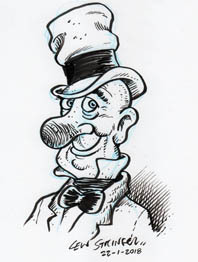 U.S. News: The return of Not Brand Echh! 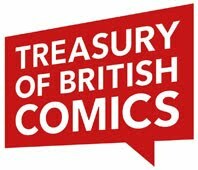 2000AD: The Ultimate Collection is coming!